Yes, it has been confirmed, Keldeo is coming to Australia. This special distribution event will be held at participating EB Games and Target stores from September 15th to October 10th, which is, come to think of it, right now. To receive it head over to the nearest participating store with a copy of Pokemon Black/White and select Mystery Gift – Receive Gift – Get via Wireless. 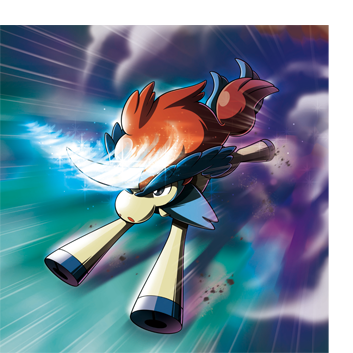 Keldeo comes with the moves Aqua Jet, Leer, Double Kick, BubbleBeam, the ability Justified, and can be transferred into Black/White 2 to unlock the secret sword event.